Determining whether it's necessary for a prospective South African migrant to close their South African business prior to leaving for Australia is not a simple decision. There are many practical and legal factors to be taken into consideration in coming to this very difficult decision. It's important that we look at your specific circumstances in deciding the best course of action for you and your future, particularly in relation to the relevant tax obligations, your financial desires, and legislative issues. Should the decision be made to close your business, there are several options you could take. Firstly and most preferably would be a sell-off of your business interest to either your business partners or another party. This would require a valuation of your interest, and a comprehensive sale agreement dealing with the various issues related to that sale, including purchase price and payment structure. Secondly, where you are unable to find a suitable buyer, you may wish to consider liquidating your business. This legal process can be quite complex and time consuming, and can be particularly frustrating if you want to leave South Africa before the liquidation is finalised. It is essential to ensure all the legal requirements associated with closing down your business are handled expertly, to avoid potential problems arising after you have moved. From sorting out practical issues such as tax obligations and finalising employee entitlements, to properly dealing with legal concerns including purchase agreements and liquidation applications, Pathway's South African qualified lawyers are uniquely able to assist you. 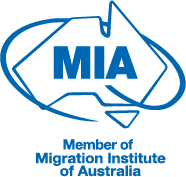 If you think you will, or are already having difficulty in finalising the closure of your business in view of your migration to Australia, speak to our qualified legal team for immediate assistance.